Port-channels have become an acceptable solution in data centers to both mitigate STP footprints and extend physical interface limits. One of the biggest drawbacks with port-channels is the single point of failure. Scenario 1- Failure of an ASIC on one switch, which could potentially bring the port-channel down, if all member interfaces were connected on one ASIC. Scenario 2- Failure of one switch on either side. 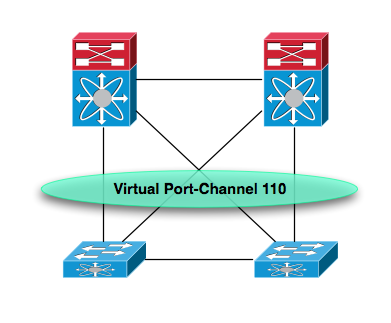 The obvious solution available today is multi-chassis port-channels which addresses the problem 95%. Even with multi-chassis port-channel there is the still the possibility of an ASIC failure. Although not as detrimental as Scenario-1, there will still be some impact (depending on the traffic load) if both interfaces on one switch happen to connect to the same ASIC. Thus it only makes sense that the ports used on the same switch, uses different ASICs. How would confirm this on the Nexus 5000 and Nexus 7000?